By maintaining a steady intake of certain vitamins and minerals, you can safely wake up, smell the coffee, and drink it too! In the past, coffee has been associated with all kinds of health conditions, from heart disease to birth defects, even miscarriage. Current research, however, shows that coffee is not the villain it was once thought to be, and it may even be beneficial to the body in some regards. If you are a coffee-lover, the good news is that moderate coffee drinking is not only not harmful to women’s health, but may also have some benefits! Extensive studies over recent years have found no link between moderate coffee consumption and the host of conditions it’s been linked to in the past, including high blood pressure and osteoporosis. The best news is that any negative effects from a daily cup of coffee or two on a woman’s health can be easily countered with the right nutritional supplements. 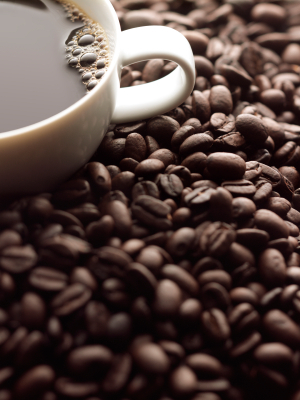 The studies also show what regular coffee drinkers have always known: coffee helps you stay alert! A lesser-known fact is that it also improves your endurance in prolonged physical activity. The key to enjoying your daily cup of java is (like most things in life) moderation. The downside is that coffee is a mildly addictive stimulant. It does temporarily increase your heart rate and blood pressure slightly, the ‘perking up’ factor that most of us like about it. Coffee is also a diuretic — a substance that causes one to excrete more fluid. Because of this, it does cause you to lose certain vitamins and minerals — B vitamins, vitamin C and calcium — at a faster rate, so it’s important to supplement these if you drink coffee daily, even if only a cup or two. For women near the age of menopause, it’s especially important to counteract coffee’s diuretic because menopausal women are at a higher risk for developing osteoporosis (a weakening of the bones due to loss of calcium), and heart disease. Supplements that help with this are vitamin B complex, vitamin C and calcium. Enjoy your daily caffeine fix — but minimize any bad effects by routinely taking the supplements needed to protect a woman’s health.